The original Life and Death was a serious simulator of abdominal surgery, and pretty impressive for its time. 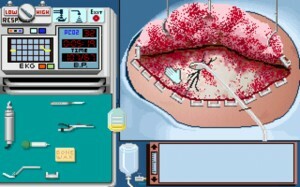 The surgeries were certainly researched and in-depth, but the game felt fairly limited and short. The patient exam sections had very few symptoms to diagnose, and only two different surgeries could be performed. It was as if Toolworks wanted to test the unproven idea of a surgery simulator on the market. Life and Death 2 carries a little more confidence, and expands interestingly for it. Everything you could like about the first has been expanded upon and enhanced in the sequel. You’re now working in the neurosurgery wing as a brain surgeon, sucking up blood clots and tying off aneurisms. Potential patients can come in with nearly ten different maladies, from cocaine addiction to tumors, and they all must be diagnosed through a thorough physical exam. The classroom sections are now open at any time, instead of only when you make a mistake. The graphics are noticeably improved, moving up to detailed VGA. There’s a lot to like about the sequel, provided you like the idea of a surgery game. Blah blah blah, when do we get to cut people? If you’re unfamiliar with the original, the Life and Death series takes place in the fictional Toolworks General Hospital. Both games feature a floor of that hospital, whose rooms you can wander through as desired. Both games break a normal day out into visiting a waiting patient in one of the exam rooms, giving a physical, ordering more intensive tests if necessary, and prescribing a treatment. Surgery, when needed, will be performed by you in a separate surgery program that gets loaded when you enter the OR (though the transition this time is a little more seamless). 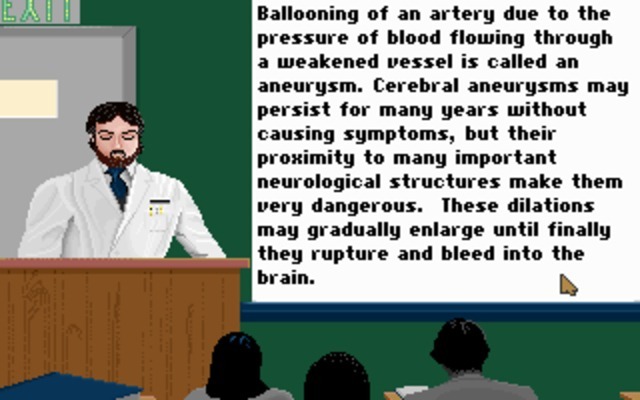 The game functions as a “teaching hospital,” and though you can go to class, read an in-game neurology book, or read the copious paper documentation, your ultimate practice will be with the “actual” patients carrying around “actual” trouble in their skulls. If they die, or your surgery is less than professional, you will simply get a lecture and a new patient. If you squirm at the idea of killing digital patients for practice, you’d probably make a good doctor, but you’ll be missing opportunities provided here. Playing the first game is not a requirement, as this one does a pretty good job of teaching you everything you’ll need to know. 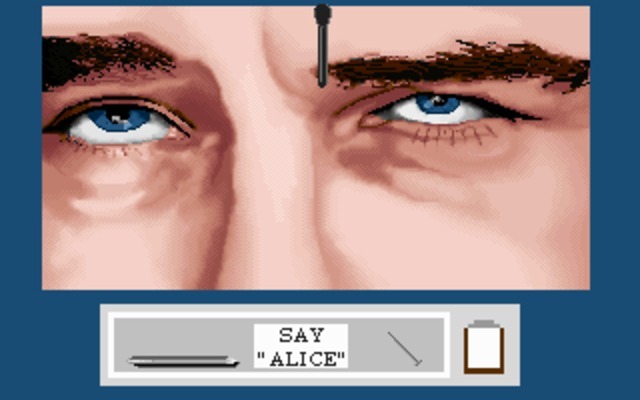 Still, a surprising amount of what you’ll learn in the first game does carry over into this one, and the first gives a good, and slightly easier introduction to the interface you can expect in both. Neither game is EASY by any means, but this game… well, is brain surgery, and is much more difficult, simply by having more things to consider and more things that can go wrong. After a brief orientation, you’re able to click around the various rooms of the hospital and make use of their functions. The classroom provides a list of courses you can take regarding diagnosis, treatment, and surgical procedures. This allows you to get a better idea of what will be expected of you, instead of having to learn through your mistakes, as in the previous game. The top row of rooms is dedicated to the testing and imaging equipment you can order your patients into. Aside from giving a brief overview of their function, they also present you with examples of normal and abnormal readings, making diagnosis a snap. If you ever need to, you can leave your patient and pop into these rooms for their reference photos, without penalty. The exam section of the game has been greatly improved, and feels like far more than just a breather between surgeries. The patient’s chart now contains useful, sometimes critical, information, and should be checked at the start. There are ten physical tests you can perform, broken out over the head, arms, and legs. These also require far more interaction on your part than simple clicks. For example, to test a patient’s response to light, you pick up a penlight and hold the mouse button down until their pupils constrict. To test weakness in the arms or legs, you click and hold to “grab” their limbs, drag them out, and release the mouse button to watch the results. It’s very neat to mimic the movements you would actually be doing, and makes this section extremely intuitive. Since there’s a lot of information you’re looking for, a chart is automatically filled in as you perform these tests, and can be consulted at the end of the exam to look for patterns and possible afflictions. Diagnosing patients is ultimately still a series of if/then tests, but the range of symptoms you’re looking for is increased, and with it, the complexity. The classroom sections and in-game neurology book will be very specific about what combinations of results go with what defect. Most problems will be treated outside of the operating room, with referral to another specialist. If you’ve done the entire exam and decided upon the correct treatment, the hospital administrator will congratulate you. If you’re incorrect, or order too many needless tests, you’ll get chided. If your patient has to go under the knife, you’ll head into the OR. The surgery here takes everything from the first and adds additional levels of complexity. You still have to monitor the patient’s EKG and inject corrective drugs when needed, but now you must also monitor their urine output (so they don’t go into renal shock) and their CO2 levels. You still have basic tools like the scalpel and clips, but you have additional ones like drain tubes and a drill with different bits (yikes!) that change depending on the surgery being performed. As you’re dealing with the most sensitive part of the anatomy, any mistakes you make are magnified, and the room for error is virtually none. The list of steps you must take simply to open and close the patient is much longer, and much more can go wrong. The frequency of such emergencies is decided by the difficulty level you select. You may want to drum up some kind of checklist for the various procedures, so you don’t forget to irrigate a patient’s brain so it doesn’t overheat when you drill it, or forget to place the metal ribbon underneath the skull so you don’t pierce the brain with sutures. As before, serious mistakes or failure to respond to changes in the patient’s condition result in a dead patient. A morbid little sequence follows where the morgue staff eats pizza atop the corpse and discusses your failure. You can even revisit the morgue like any other room in the hospital, and check toe tags to remind yourself of your past mistakes. The game has been bumped up to impressive VGA graphics, clearing up just about everything that wasn’t so clear in the first. Surgeries are a little ickier because of it, but still nothing photorealistic or gooey. Sound is tough point to get working, as the game appears to have been designed for RealSound – a technology designed to play digital samples out of the built-in computer speaker. SoundBlaster and Adlib are allegedly supported, but apparently not well. The sounds are nearly crucial, to hear the reassuring beep of the EKG, or the pitch change that tells you to stop drilling. Controls also seem a little wonky, with reduced mouse sensitivity that makes it difficult to cut exact lines. If you aren’t precise in your movements, you’ll get yelled at after the surgery. Anything less than perfect controls make this feel a little unfair. I keep hearkening back to the original Life and Death, but it really is the only fair way to review the sequel. This is absolutely everything great about the first game, and then some. It’s definitely not for everyone, but there does seem to be a market for this kind of game, given that Trauma Center for the Nintendo DS sold like gangbusters. So if you’re interested in a more serious, less anime, moderately educational surgical simulator, Life and Death 2 certainly will impress you. Greatly improves on the enjoyable original. 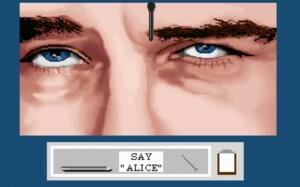 Definitely a niche game, doubly complex procedures may alienate some of the potential audience.